tl;dr: Fix communities by allowing simultaneous share to public and filtering circles by communities to create a semantically relevant data pipe for Google’s knowledge graph. Or something like that. Just read it :). So Google+ is an interesting beast. It’s currently my network of choice simply because there’s content here. I know, it’s supposed to be ghost town, but I’m just going to ignore that for another discussion. The bottom line for Google+ is that if you’re interested in having actual conversations with people about various topics, whether it be technical or social, this is a great place to be… provided, just like any other network, you spend a little time to find the right people, pages, and now, communities. 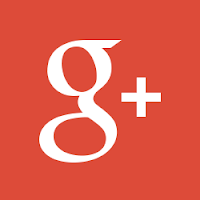 But this isn’t going to be a general post about Google+. That’s just covering way too much ground. I want to focus on a particular shift I’ve noticed for Google+: We’re slowly moving away from a people centric system to a topic centric one. Just to get this out of the way, we still follow people on Google+ because they’re the ones that actually post things that interest us. Just like we do in a variety of other networks and systems. But the nice thing about Google+ is that it’s also very topic oriented. And this can actually be a foreign thing for a lot of people, especially those coming from Facebook. That network is much more tightly woven together by people connections (family, friends IRL, etc). Hence they just can’t seem to leave it since it means leaving actual people behind and having to change the paradigm of operation when entering Google+. Twitter users sort of have the same problem. Though freer than Facebook in terms of who you follow, you’re still basically following people. You may join a hashtag conversation once in a while, but in the end, you can only do so much to continue to be with people in the same mindset. Twitter an awesome system for quick, short, shoutouts, events, exchanges, promotions, and blurbs, but [for me at least] it’s an absolutely horrendous platform to actually converse on. Nothing is threaded, near impossible to see anyone else’s replies, the reply-to-id is woefully underused. No wonder they’re trying to ban a lot of 3rd party clients to try to enforce a common UX across everything. But I’m derailing, that’s a topic for another time. Google+ started itself off as a happy medium between traditional threaded conversations [like in forums] and the faster paced people oriented messaging [like in Twitter]. Coming in late, it had the time and luxury to see what worked in Facebook (connections with people are important) and what worked in Twitter (fast updates), and probably more importantly, what was missing (poor conversation tracking, lack of privacy, lack of easily expanding beyond your “[1000’s of] friends”). Now as it establishes itself (#2 social network), the next step is to try to push the system slightly away from people orientation to topical orientation. People are important still, but it’s the topics they write about that are what keep the people here. And Communities fills that niche very nicely. It helps to centralize what would have otherwise been produced in separate stream by separate people amidst all the other topics people write about. With the introduction of Communities, people can now post their relevant content to a specific location and aggregate everything in one place. This helps to make sure if a topic is hot, or a community is populated well, you can always find and converse with people of like interests. That’s incredibly important for user retention. People need to feel like they belong, and now, even the newest of users can simply just jump into a community and be instantly connected. But… they got it wrong. People are not topics. They still have a need to be known as an individual. From a Google perspective, I think it’s easy to harvest our output into topics for others to consume and hopefully reciprocate by contributing back. After all, what better way to extend the knowledge graph than to have great semantic data about what we post. And it is a great benefit for all the users. But we, as producers, still need our identity. And our identity is defined by the output we produce, but the implementation of Communities fragments our outputs. We’re now forced to choose if we should post content to our main stream, or to post content to a community. I know that we can decide if we want our community posts to appear on our profile page, but quite honestly, that’s a secondary place people go to for content. The whole point of circles was to group people and listen to those circles. And with the current setup, your community posts do not show up on your main stream. So you have to choose. Do you post to a community? Do you post to your main stream? Do you double post? It’s choice we shouldn’t have to make at all. And double posting just to make the post appear in your public stream is just a wrong waste of my time and effort. Easy fix? Allow us to post to a community and to our Public stream simultaneously in one posting action. I know the restrictions are in place to make sure the content publicity level and the community publicity level are accounted for, but that restriction was the easy way out (my guess is that a more robust method is being worked on, but it’s not a trivial issue). But there’s no reason to have that restriction in place for a fully public community. So perhaps the quick solution is to allow a “Public” share as well as a Community posting for those communities that are fully public. I know there will be some strange UX issues, but quite frankly, this time, the benefits really out weighs the UX detriments of creating a special paradigm just for this one use case. But you know what’s better than an easy fix? A proper fix. Ready? Take notes. People are not one dimensional as circles imply. I don’t fit into just one circle, I probably fit into several circles. So it’s of no use to have a Circle called “Java” and putting me in there expecting I just posts about Java since surely, as the internet is the internet, I’m going to post some Cat pictures. So with that one fell swoop, I’ve made your topical circle cluttered with junk and conceptually worthless. You could follow a community instead, but all you’re given is an “Alert On/Off” system, which floods the crap out of your stream if I leave it on for large communities. So now, you can only either get alerted for everything or you have to remember to manually go to the community. Great, in that case communities are only theoretically useful for filtering. We need to merge this concept of circles to follow people, and communities to follow topics. You need to be able to listen to what I post when I post to a specific community. In order for that to happen, I need to be able to make one post that works as a post to the community and a post to my public stream. This type of post now essentially semantically tags my post with a topic, ie. a community. Now all my posts are going to be semantically tagged. Isn’t that a dandy? And we didn’t even have to teach people to have to use hashtags or any gimmick, all part of the UX. Once my posts are tagged with a related community, let’s take advantage of that. Allow us to filter a circle based on a community (or even communities). Now you can put me in a circle called “Java”, filter it against the Java Community, and only those post I create that are also posted to the Java Community will show up in the circle stream. [Un]fortunately, you now no longer have to ever see my Cat posts (well, that is unless you put me in a circle associated with the Cat Pictures Community). We’ve now taken the first step to balance the idea of people and topics into one UX friendly concept. I’m now more willing to post to a community exclusively since I know if people want to just follow me as a person, my main stream has all my content. And for those that just want to follow one specific aspect of me, they can filter me by the communities I post to. People will be more willing to circle me, I’ll feel the love of gaining readers, and that will encourage me to post more, it’ll encourage others to just get what they want and therefore interact more, it’s a win-win for both sides. Well, for Google also since interactions go up, and we’ve most importantly started to add genuine semantic data to our posting that can be programmatically mined instead of inferred via context and content. Communities now are more useful. Circles are much more useful. Following people is much more comfortable. Less crud in my stream from people posting things I don’t want, but can still see the posts I do want from those same people. Egos can be satisfied. And we’re contributing to the I’m-sure-it’s-coming-soon Google knowledge graph search system. people’s egos will be satisfied. It feels like a win-win for both sides, topical and people oriented, for Google and the users of Google+. So, make it happen. Pretty please? Well, this got a bit long. I can easily see what is out there now as the “quick” thing to put out. But there are also some directions the network is taking that may indicate that I’m not quite on the same page as the developers. Will need to dig deeper and see what’s actually there :). I'm a developer by trade and a community advocate at heart. I like to create applications that have actual meaning and utility to people and try to drive communities to help them get to where they want to go.